This ice-going vessel is designed by Ulstein Design & Solutions and constructed by Norwegian yard Ulstein Verft. 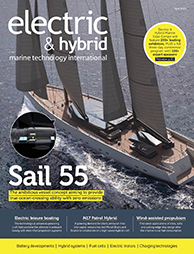 It will be delivered in the first quarter of 2020 and will be equipped with two Azipod DO electric podded propulsion units. 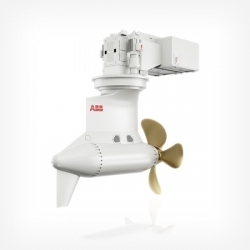 In addition to enabling the vessel to navigate through sea ice and meet regulations for operating in Arctic and Antarctic waters, the Azipod DO units will require 25% less installed power than propulsors of equivalent performance. ABB Ability System 800xA will further improve the efficiency and safety of the polar new-build by integrating power, propulsion and vessel management systems into one platform, giving crew and onshore teams an overview of all the information needed to operate the vessel in the optimal way. The vessel will also be connected to ABB’s Collaborative Operations Centre infrastructure, which monitors the performance of ABB technology on board and remotely connects operators with ABB experts.